Officially licensed by Xbox & 343 Industries. We took Microsoft's Halo Wars 2 Emblems and Badges to create awesome Tech Skins. The Halo Wars 2 Tech Skin Pack: Emblems includes 12 skins: (10) Emblems (2) Halo Wars Logos. 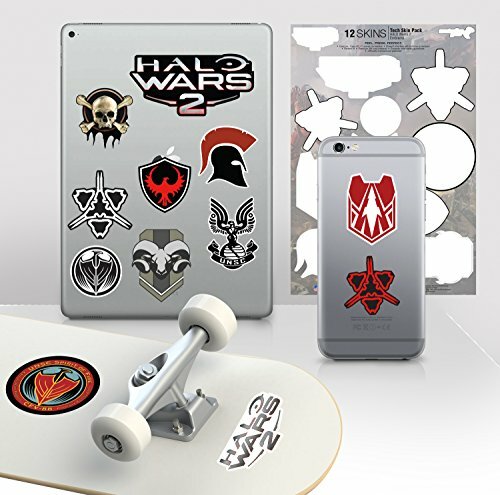 Halo Wars 2 Tech Skins that you can apply to phones, tablets, laptops, your car, desk, and most other surfaces! Don't miss out on this GREAT opportunity to own this Halo Product. Tech Skin Pack measures 7" x 11"
If you have any questions about this product by Controller Gear, contact us by completing and submitting the form below. If you are looking for a specif part number, please include it with your message.